All Electric Scooters joins Facebook! January 13, 2012 - Raleigh, NC - All Electric Scooters, an online retailer of mobility scooters for the disabled and elderly, is excited to announce it's new Facebook page. All Electric Scooters is planning on using Facebook as an open channel to give back to it’s customers. Through the use of customer service and promotions, All Electric Scooters hopes to better connect with it’s customers and fans. “Facebook continues to grow for our demographic, so it was only a matter of time before we joined the social network." All Electric Scooters can be found on the All Electric Scooters Fan Page. 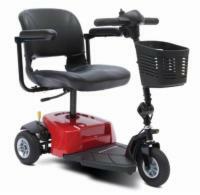 All electric Scooters is an online retailer of mobility scooters and mobility accessories for the disabled and elderly. 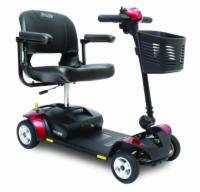 Their products include mobility scooters from Pride Mobility, AmeriGlide, and Golden Technologies. For more information please visit: www.allelectricscooters.com.